The upcoming October 7th presidential elections in Brazil present a very complicated situation. Based on current poll results and the questionable quality of the candidates, Brazilian politics and society are in a state of confusion. 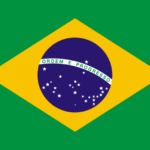 Brazil is an important and powerful South American country with 210 million people and an emerging market economy. It now finds itself in a state of political uncertainty. There are currently several candidates that are running for president. This includes candidates from the extreme right, the extreme left and several center-right and center-left candidates. The polls show that the candidates leading the polls are the candidates of the extremes: Jair Bolsonaro on the right and Fernando Haddad on the left. Bolsonaro is leading with 28% of the votes and Haddad follows with 16%. It is likely that the second round will be between these two candidates. Brazilian society finds itself in a situation of polarization that has been aggravated by the impeachment and removal of President Dilma Rousseff; the corruption scandals that ended with the imprisonment and removal of key Brazilian leaders including the former charismatic president, Luis Inazio “Lula” Da Silva; and the serious recession the Brazilian economy is facing. Therefore, the fact that divisive figures are leading the polls is not surprising. Who are these extreme leaders? Jair Bolsonaro from the Social Liberal party (PSL) recently was stabbed by an individual who apparently rejected his views. Bolsonaro has made highly controversial remarks considered to be racist, homophobic and misogynistic. He claimed that “black people are useless even as breeders”. Likewise, Bolsonaro pointed out that he “would never be able to love a gay son”. Regarding women, he said they “should earn less money because they get pregnant and spend six months on vacation”. These remarks have raised deep concerns. Bolsonaro’s candidate for vice-president is Antonio Mourao, a former general who stated that homes where the father is absent are “incubators for criminals”. (fábrica de delincuentes). These remarks raised the anger of many people since Brazil has many single mothers who raise their children on their own. Mourau, like Bolsonaro, also vindicates the idea of military rule. Regarding Venezuela, Bolsonaro opposes Nicolas Maduro but has not talked about any concrete steps against him. It is reasonable to assume that he will follow U.S. policy and will try to isolate Maduro. Bolsonaro is also pro-American. On the left, Fernando Haddad has been the candidate chosen by the Workers Party (PT) after Lula was banned from running for president. Since April, Lula has been serving a 12-year prison sentence after the courts found him guilty of bribery and corruption. Haddad spoke about giving a pardon to Lula and insisted that the courts that decided to send the former president to jail were wrong. Haddad has also called the impeachment and removal of former president Rousseff a “parliamentary coup” or an illegitimate act. In reference to the current Venezuelan crisis, Haddad acknowledged that Venezuela is not a democracy. However, he opposes international pressure on Venezuela claiming that Venezuelan sovereignty and self-determination should not be compromised. By the same token, Haddad also supports dialogue between the government and the opposition even though Venezuelan president, Nicolas Maduro proved a long time ago that he is not interested in anything except retaining power. Haddad, like his predecessors Lula and Rousseff, seems to be an apologist for the Venezuelan regime. As a follower of Lula, it remains very unclear what his approach will be towards the United States. 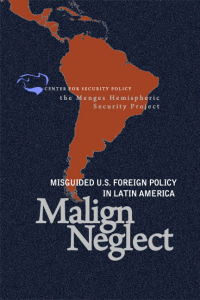 When Lula was president Brazil’s foreign policy was basically antagonistic to American influence in the region and beyond. 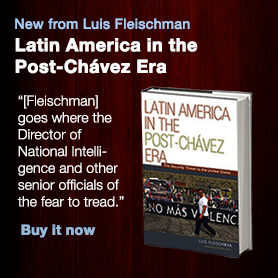 Lula attempted to place Brazil in a position of leadership in Latin America but in opposition to America. Lula reached out to the Arab world, the third world and to China with the purpose of creating a counterbalance to U.S global power. In other words, the two leading candidates seem to represent a poor choice for most Brazilians. If we add up the combined poll numbers Bolsonaro and Haddad have, the numbers only represent 44% of the population. This means that 56% of the population has opted for less extremist alternatives, rather center- right and center- left. Even though Brazilis suffering from a serious economic crisis, the success of the Brazilian courts in indicting high officers over corruption cases indicates that there is a movement towards accountability and consequently towards more order. The fact that Lula was banned from running and the Workers Party proceeded to appoint a new candidate while complying with the judge ‘s decision is a positive step. Lula, himself, appealed to his popularity to seek absolution. However, legality prevailed. If the legal system can impose itself above political considerations, this is a victory for Brazilian law and order. Therefore, Bolsonaro and his running mate’s (General Moura) support for military rule to restore order not only puts democracy at risk but it is also unnecessary. Brazil does not need a military dictatorship. It needs to overcome its problems by continuing toembrace legality and accountability. Most recently, former Brazilian president Fernando Henrique Cardoso, suggested creating a coalition or a union of all parties of the center-left and center-right. It is not clear if this is likely to happen but seems to be the most viable solution to save Brazilian democracy from a culture of polarization and chaos. The outcome of this election will affect the direction of Brazilian democracy and foreign policy for years to come and could lead to serious consequences for the people of Brazil and for the region if either of the extremes takes power.